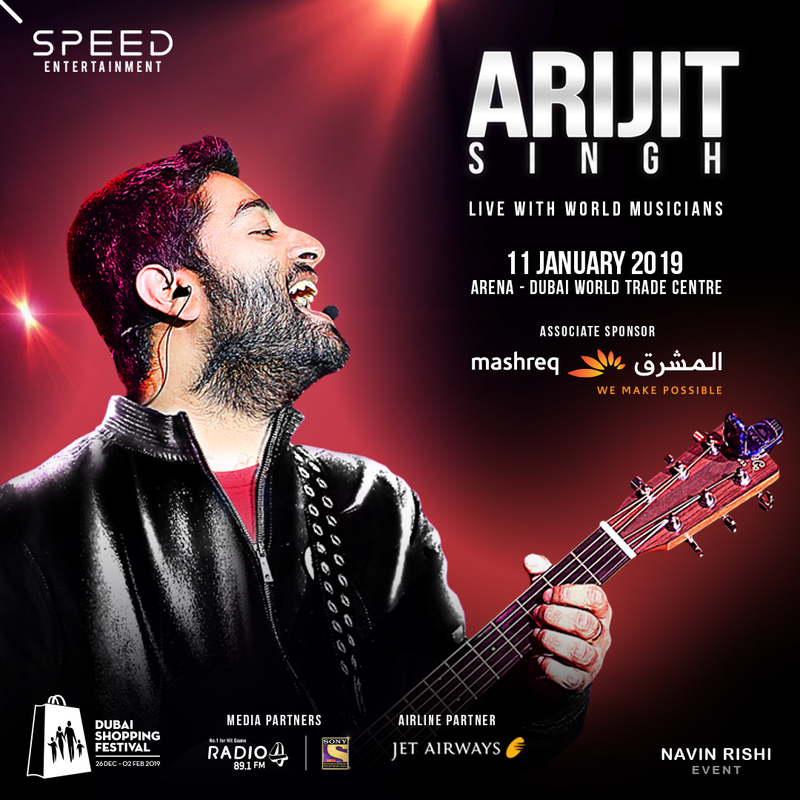 The globally celebrated and the most in-demand Bollywood singer Arijit Singh is gearing up for a live performance in Dubai. The much loved artist will be performing in Dubai after almost a two-year hiatus, with the show scheduled for Friday, January 11, 2019 at Dubai World Trade Centre. The 31-year old sensational singer is known for being mellifluous, soulful and melodious. He is applauded and praised for his art of lending”emotions and soul to lyrics” through his vocals. Though he has sung quite a mix of genres of songs, Arijit is most popular for his romantic songs like Tum Hi Ho from Aashiqui 2, Channa Mereya from Ae Dil Hai Mushkil, Agar Tum Saath Ho from Tamasha, Hamari Adhuri Kahani title track etc. The event is conceptualized, designed and promoted by Navin Rishi and his company Speed Entertainment Dubai. Navin Rishi is credited for organizing several key projects in UAE, India and Canada within the entertainment, hospitality and sports management domain and has successfully orchestrated many high-profile events across the globe. “The countdown has already begun for the mega event! Arijit is one of the most versatile and successful singers in the history of Hindi cinema. Since he is coming to Dubai after a long gap, we are expecting a packed house for his upcoming performance. In the past, we have organized and delivered many stellar shows and this time again we promise to enthrall the audience with a spectacular event.” said Navin Rishi, the promoter of the concert. The event is managed by Speed Entertainment.